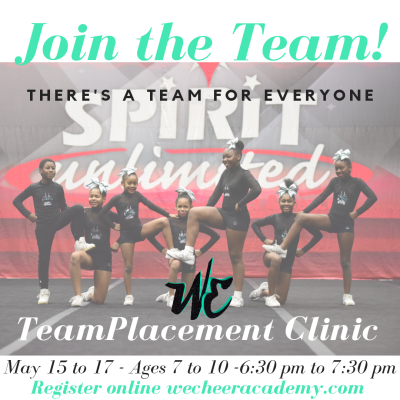 Classes are typically one hour and meet once a week to train small groups of athletes working on similar skills,such as tumbling, jumps, and flyer flexibility. Great for recreational and high school cheerleaders or athletes that just want to get there competitive cheer feet wet. 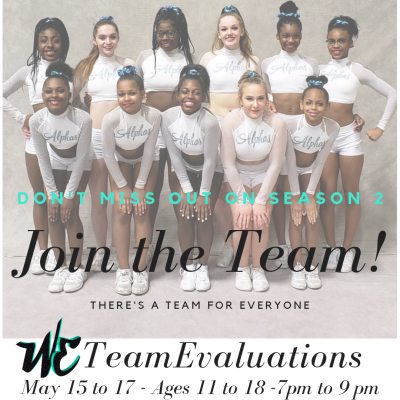 Competitive cheerleading program for athletes ages 3 to 18. Our Mission is to help develop enriched adults. Throughout our lives, we work with others to achieve common goals; our program is designed to encourage this practice at an early age. Though physical health is important, teamwork is a skill more valuable than tumbling or athletic ability alone. Our philosophy is that every child can reach their potential through positive guidance & superior instruction.